Userful Corporation, the Canadian, Calgary-based Linux desktop virtualisation expert, will be demonstrating it's MultiSeat software at Cebit. This turns one Linux computer into 11 high performance independent computer stations, using a standard USB device such as the HP t100, Wyse E01, Goodway DU2600, Atrust m200, MCT MWS 8820, or DisplayLink devices. 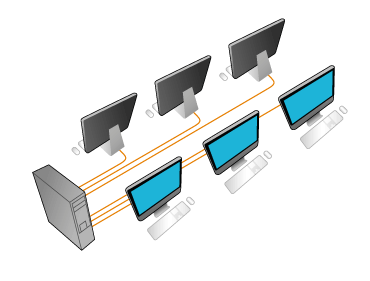 The MultiSeat enables schools and businesses to use more than twice as many computers for the same cost, enabling up to 11 users with different applications at the same time, from one host computer, each with its own monitor, keyboard, and mouse. At just $59 per seat (education pricing) MultiSeat claims to be the lowest cost computing solution with the features and performance of a full desktop computer. It allows organsations to use large numbers of computer stations for a very low cost in a range of settings including office, call center, oil field, hospital, library, military base, hotel, internet cafe - anywhere multiple computers are needed in close proximity to each other. Reducing hardware costs by up to 80%; infrastructure (power plugs, cabling, etc) by a factor of 10 against traditional PC/seat solution; and energy costs by up to 90%, enables computer cost offset saving in a few years. "MultiSeat software and HP multiseat USB thin client hardware are an ideal solution for regions such as India, where schools need to deploy large numbers of full featured computers for minimal cost, using minimal infrastructure," says Rajat Mehta, country manager PSG, HP India. Some 50,000 schools worldwide are Userful providers of computer access to millions of students. Countries such as Brazil, have successfully deployed over 350,000 Userful computer stations to schools in every municipality, showing that with combined cost savings of MultiSeat, Linux, and open source software, it is feasible to provide students with a comprehensive education that uses computers, regardless of city or a remote indigenous village with little infrastructure locations. Brazilian Ministry of Education reports saving 60% in up-front costs, 80% in annual power savings compared to previous PC-per-station solutions. 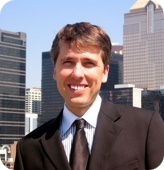 To date, Userful has sold more than 750,000 seats. "Userful and DisplayLink have worked closely together to build support for DisplayLink USB virtual graphics enabled devices with the market leading Userful Linux solution," says Dennis Crespo, DisplayLink executive VP, marketing and business development. Each user individually controls his or her own station and applications. Users feel they have their own dedicated PC, but all are sharing the resources of a single host computer. Set up is simply plug USB MultiSeat devices into the host PC, plug a monitor, keyboard, and mouse into each USB MultiSeat device, install Userful software, and the system is ready to play and support multiple users using different applications at the same time from one computer, each with their own monitor, keyboard, and mouse. MultiSeat is available as part of a software bundle for schools, called Userful MultiSeat Linux 2011. An all-in-one install DVD is a Linux based software bundle that includes a wide variety of no cost applications: Edubuntu operating system, iTALC classroom computer management tool, OpenOffice.org office suite, Firefox web browser, and subject based applications for astronomy, chemistry, languages, mathematics, planning, and more. 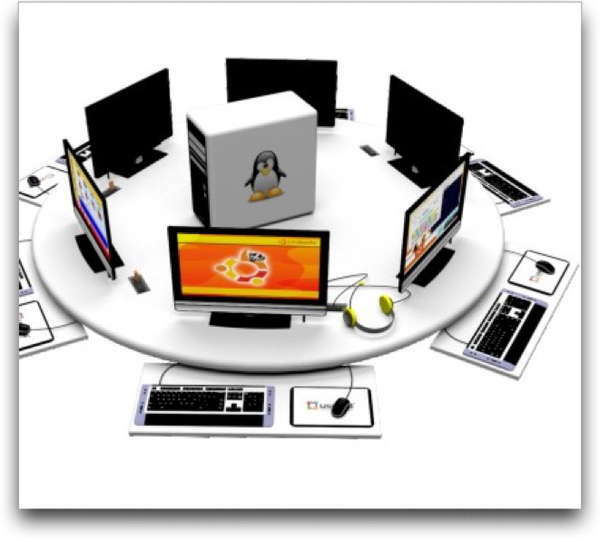 Hundreds more applications can be installed at no charge with a single click through the Software Center -- a centralised repository of free Linux based applications. Teachers can use additional free open source software to further lower costs, easily tailor curricula to individuals, and monitor and control the classroom computers. With the included classroom computer management software teachers can centrally manage and monitor the computer stations with ease, seeing what each student is doing, send specific messages, remotely take control of a station, share files with and between students, creating or deleting student accounts/change passwords, and adding a new application to all computer stations by installing it once on the host computer, among other control features. Userful president Tim Griffin says, "We've already done the world's largest ever desktop virtualization deployment, and one of the largest digital inclusion initiatives in the world. "Userful is the perfect solution for anyone who wants the benefits of desktop virtualisation, without the price tag. It's also lower cost than netbooks, and doesn't have the same concerns around recharging, durability, theft, e-waste, warranty, or small screen size."